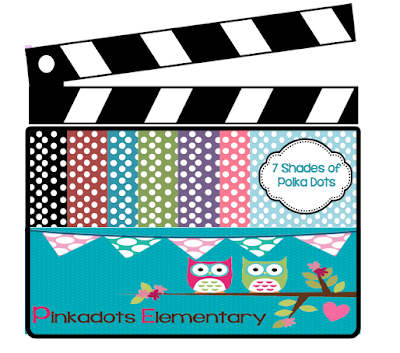 Pinkadots Elementary : Freebie: 7 Shades of Polka Dots! Just found your blog through CF - love the digital paper - heading over to TpT right now. I LOVE polka dots! On and for EVERYTHING!!!!! Thanks for sharing! One can never have enough backgrounds! Thanks so much for sharing! Wow! Love the background papers!! Thanks for the freebie! Now a follower! Thank you for the paper; I also love polka dots and the colors you included are so nice! We are your newest follower! LOVE your blog and thank you for the paper! Found you through the linky and I am happy to be your newest follower! I'm your newest follower! Thanks for this wonderful freebie! I saw your great freebie on Monday, but haven't had time to reply (testing season). I love the paper and plan on using it to help me make my next product! I can't wait to use this paper. Super cute. Thanks for sharing.